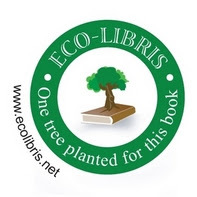 Eco-Libris blog: Green printing tip no. 34: What should we look for in buying copier paper? Green printing tip no. 34: What should we look for in buying copier paper? We are back today with a new tip on our weekly series of green printing tips, where we bring you information on green printing in collaboration with Greg Barber, an experienced eco-friendly printer. Today Greg is shedding more light on the choices almost every office around the world is making while buying copier paper and what should be taken into consideration in this process. What should we look for in buying copier paper? The copier paper market is a huge market in terms of paper bought. Probably, in the trillions of pounds bought each year. The copier market comes in several categories. One is the non recycled category, another is the 30% recycled category, and the last one is the 100% recycled market. Environmentally, the 100% recycled market is the way to go, if you can afford the extra price. If you do, you are helping to keep 70% of the previous waste paper from being landfilled, or incinerated. If you buy 100% recycled copier paper, that paper is entirely made from previous "printed" paper, which is 100%PCW If you buy 30% recycled, then 70% of the remaining content is made from trees, or pre-consumer waste, and then millions of pounds of printed paper will not go back to the mills to make new paper. Instead, that paper will go to our over crowded landfills, or incinerated, releasing toxic fumes into our environment. with other chemicals in the paper making process will cause Dioxins to formulate. Dioxins seeping into our waterways, and it will, can cause cancer. The 70% printed paper now needed to be landfilled will cost the tax payer money. So if we have an $8.00 per carton difference between 30% PCW and 100% PCW paper, the hidden costs will need to be considered. How much money is spent on cancer research, and cancer treatment, not to mention loss of life and loss of human productivity, and unemployment payments, etc. What does that equal in cost per carton? What is the cost per carton to each of us to pay the taxes on running landfills, and incinerator plants? So the $8.00 per carton difference is really a lot less if you could add these hidden costs to the real cost per carton of the less recycled paper. To make sure you are getting the correct paper, if you are buying the 100% recycled copier paper that is manufactured only with post-consumer waste paper, look for the emblems printed on the cartons and the packages. You need to see 100% PCW. You need to see 100% PCF, which stands for Processed Chlorine Free. The 100% PCW recycled papers are bleached with Oxygen or Hydrogen Peroxide, and NOT chlorine. You should also look for the FSC and the Wind E emblems, as well. So, consider all factors when considering the extra money in being more environmental. You would be helping future generations deal with our mess, and our health issues, and your actual cost per carton may not be the $8.00 per carton you originally were dealing with. We might be saving money in the long run, and living a cleaner life now. For additional information on buying copier paper, please call Greg Barber at (973) 224-1132, or email greg@gregbarberco.com. 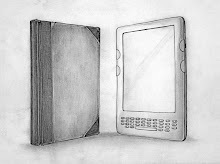 Also, if you have any questions you would like us to address in future tips please email us to info@ecolibris.net . Green Printing Tip #33 - Do I have a Green Marketing Give Away for Trade Shows? 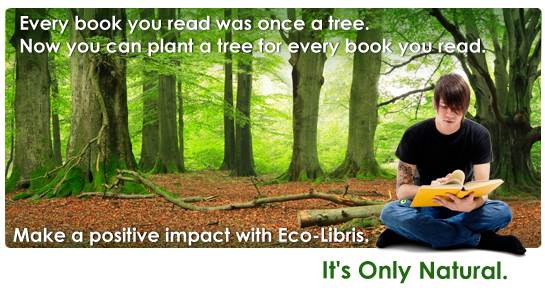 Green Printing Tip #32 - Is Tree Free Hemp Paper still available? 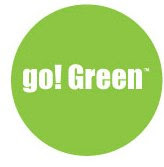 Green Printing Tip #31 - How to produce the greenest hang tags? You can find links to all the tips we published so far on our green printing tips page, which is part of our green printing tools & resources. 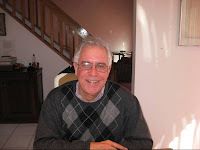 You can also find further valuable information on Greg Barber Company's website - http://www.gregbarberco.com. A side question: are the "discount" print cartridges ecologically any better or worse than the regular HP?